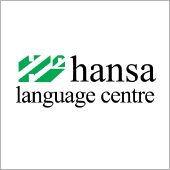 Founded in 1969, Hansa Language Centre is the oldest accredited language school in Canada. They offer a huge range of English classes in the morning, afternoon, evening, and on Saturdays. Hansa's unique flexible learning system allows students to choose their classes and helps them to learn English faster.